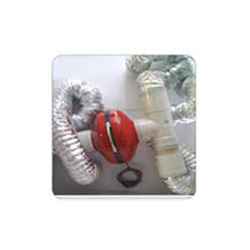 The base Ducting system allows you to control the directional output it to a specific location. The flexibility of this system allows you to add additional outlets into two areas. Longer distances are assisted by the in-line turbo fan, with this unit in place smoke can be pumped to longer distances. Hi & Low Power Fan settings.